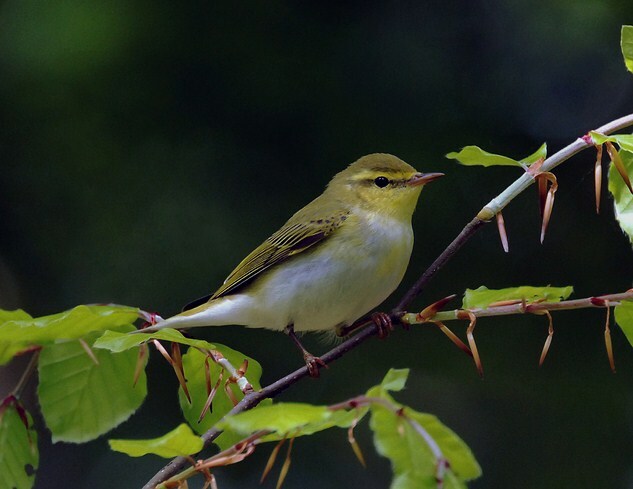 Wood Warbler is an increasingly rare summer visitor to Arran. Last year there were records from only three areas on the island. Willow Warbler and Chiffchaff are much more widespread. At one stage all three warblers, which are similar looking, were considered to be the same species. It was Gilbert White, curate of the Hampshire village of Selborne, who first distinguished them as three separate species. Gilbert White was one of the first English naturalists to make careful observations of his surroundings and record these observations in a systematic way. He believed in studying living birds and animals in their natural habitat which was an unusual approach at that time, as most naturalists preferred to carry out detailed examinations of dead specimens in the comfort of their studies. The result of all his detailed observations was the publication n 1789 of his book called ‘The Natural History and Antiquities of Selborne’ and since that time it has never been out of print. It is one of the most published books in the English language. Within it he distinguished the “willow wren” as three species - Chiffchaff, Willow Warbler and Wood Warbler, largely on the basis of their songs. Indeed the Wood Warbler gets its name from the trilling song performed by the male with gusto, head raised, bright yellow throat puffed out and body all aquiver. The scientific name ‘sibilatrix’ means the whistler. In Scotland, as well as Arran, it is a local summer breeding visitor mostly found in central and western areas of Scotland where it is associated with closed canopy oakwoods, beech, birch and ashwoods. A relatively sparse understorey is essential. Although it feeds and sings in the canopy, it nests on the ground requiring low and open vegetation. This is the kind of habitat to visit if you are hoping to hear Wood Warbler. Over two hundred years ago Gilbert White described the song as “sibilous shivering”. It is a memorable sound of summer. After breeding all European Wood Warblers migrate to Africa for the winter.